FOUR individuals are now in jail after an entrapment operations were conducted for alleged double your money investment. On March 24, Angelito Bertoldo Legaspi, 36, of Palma Street, Parang, Marikina City; Marjun Flores Samonte, 28, from Barangay Waya, Tanay, Rizal; Roldan Bautista Tirados, 28, of Penpeña, Tanay, Rizal and Edgar Peñada Alcantara, 21, Barangay Wawa, Tanay, Rizal were arrested at Lake Drive, Burnham Park, Baguio City. The four were collared following the complaints of Lemish Tarona Mohd Sayegh, 29, of Bangued, Abra, and presently residing at Nr. 56 Upper Kitma. Initial investigation disclosed the suspects deceived the victim by allegedly collecting money from her for their investments. They initially collected cash and an I-phone from the victim amounting to close to P1.2 million. The suspects then later told the victim she already had a total cash investment including its principal amounting to P7,000,000. When the victim told the suspects of her wanting to withdraw her money, the suspects told her they cannot give her money unless she would pay the amount of P200,000. 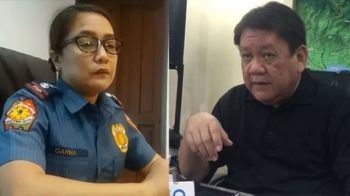 Sayegh was then instructed to meet the suspects at Ganza Restaurant prompting the victim to report to the police where an entrapment operation was conducted resulting in the arrest of the suspects, and the recovery of the marked money amounting to P4,000 from their possession.